pTag: Property Tax Appeal Group: What Is The Value Adjustment Board (VAB)? The Clerk of the Circuit and County Courts is the Clerk of the Value Adjustment Board (VAB). The VAB as a panel considers and renders a decision on all appeals of property assessed values, classifications and exemptions. The VAB has no jurisdiction or control over taxes or tax rates established by Taxing Authorities. The VAB's primary function is to hear evidence as to whether or not properties, petitioned for their consideration, are assessed at their proper value and/or whether tax exemptions or agricultural classifications should be approved. The VAB cannot change your assessed value or grant an exemption or agricultural classification for any other reason, such as inability to pay. 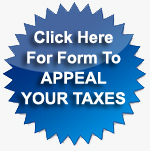 The Property Tax Appeal Group (P-TAG) at www.PTAGflorida.com helps real estate property owners file petitions with the VAB and fight to reduce property taxes. To assist the VAB, the VAB appoints Special Magistrates who are either qualified real estate appraisers, personal property appraisers, or attorneys, to conduct hearings and make recommendations to the VAB on all petitions. The primary issue for an Appraiser Special Magistrate to decide is whether or not the assessed value of the petitioned property exceeds its actual market value as of JANUARY 1ST of the relevant tax year. The primary issues to be determined by Attorney Special Magistrates are whether exemptions or agricultural classifications should be granted based on the evidence presented. Both the VAB and the Special Magistrates are independent of the Property Appraiser's Office. In fact, the Property Appraiser is merely another party before the VAB or the Special Magistrate, just as is the petitioner (taxpayer). If the VAB decides that it does not agree with the Property Appraiser's Office regarding the assessed value of a petitioner's property, the VAB has the authority to reduce the property’s assessed value to its actual fair market value. If the VAB reduces an assessment within the limits described below, then the Property Appraiser must accept the reduction and may not appeal the VAB decision by filing a suit in the Circuit Court. If, however, the VAB decision results in a reduction exceeding the limits described below, the Property Appraiser may appeal the VAB decision by filing suit in Circuit Court. Send payment of $20 per folio number to our address listed above. Payment can also be made via email or fax by providing PTAG with your credit card information.